1. Select the Get Embed Code button. 3. Paste the embed code on the text tab on Wordpress underneath your recipe plugin. 4. If you've updated to Gutenberg, change to Edit as HTML. 5. 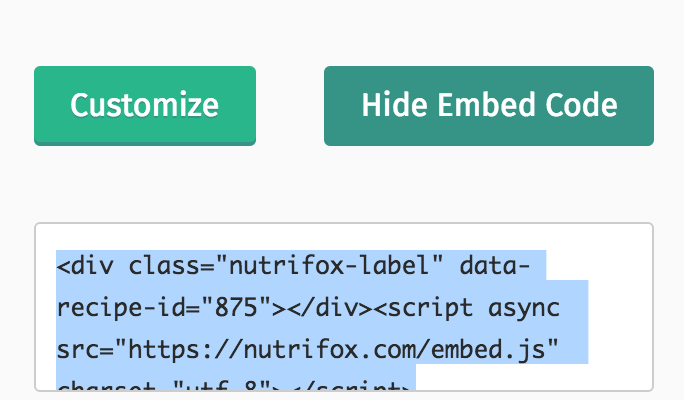 Paste the embed code below your text. Use the Embed Block to add your nutrition label to your site. Here are more directions on that. That's it! You can view your label by following these instructions.